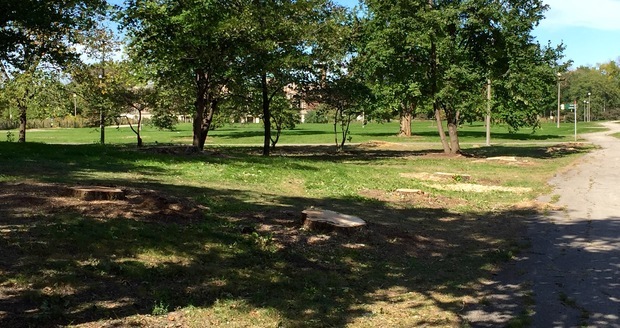 HUMBOLDT PARK — Hundreds of Humboldt Park's trees, many of the oldest and largest, have been cut down in the last few months, taking away nearly one in six trees in the park and apparently confusing some locals. "The squirrels look confused," says Kitty Hopper, a nearby resident. 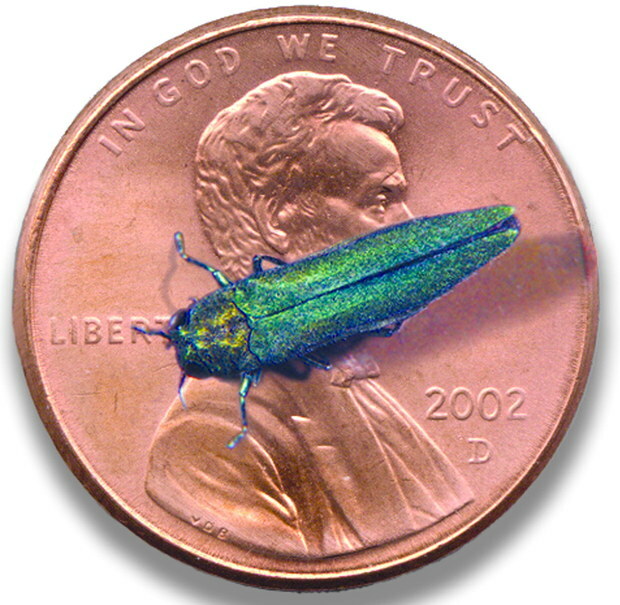 Blame it on the emerald ash borer. 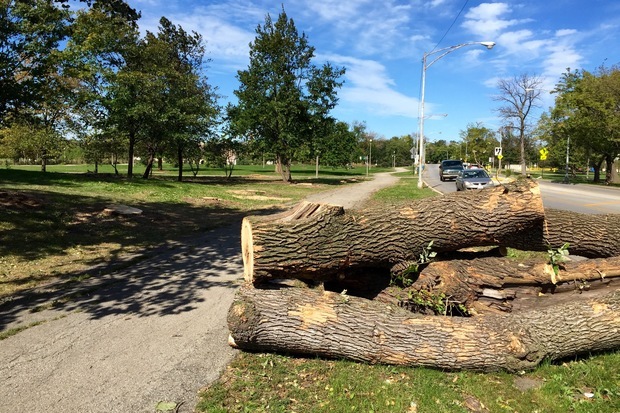 The Chicago Park District was forced to spend this summer and fall cutting down an estimated 650 trees due to an infestation of the hated bugs. Some residents of the area say it's left the park feeling barren while others lament the loss of their favorite trees. "It feels like a golf course now," Hopper said. "I didn't realize how shocking it would be to walk into a place one day and have it all gone." The park district estimates there are between 3,500 and 4,000 trees in the park. Of the 650 cut down, at least 95 percent were ash, according to Chicago Park District spokeswoman Jessica Maxey-Faulkner. The others must be removed because they are dead or have been severely compromised. Although Ald. 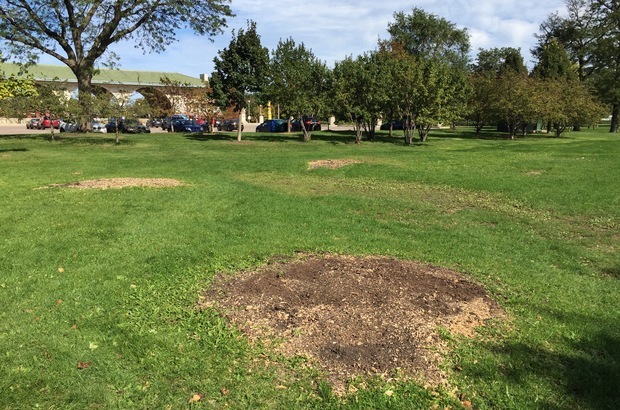 Roberto Maldonado's office announced the tree removal project in June, the results have been a surprise to neighbors of the park. Humboldt Park resident Kitty Hopper (DNAinfo/Paul Biasco). 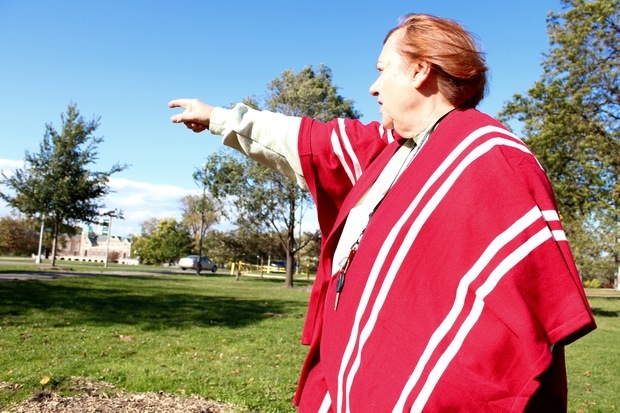 Those trees hold memories in different sections of the 219-acre park. 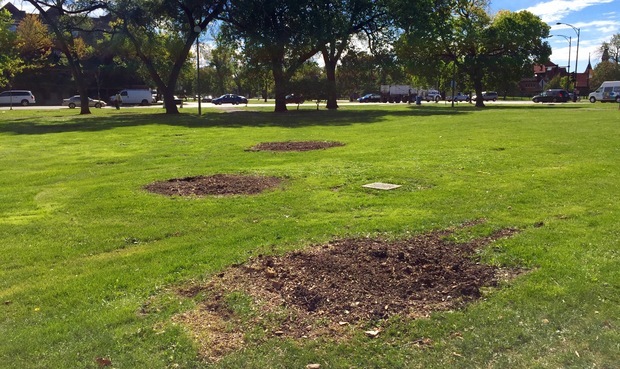 For Hopper, who has walked her dog through the park every morning for most of the past 15 years, her favorite trees fell victim. She walks her dog along the same route every day. It's been a constant for her over the years as the neighborhood has changed. Hopper knows the intricacies of the trees along her walk; one with branches jetting out over the lagoon with twisted, exposed roots, the mature tree that leans at the perfect angle for kids to climb on and the densely planted mini grove. One was a large ash tree where birds have been nesting for years across from Little Cubs Field. "The one tree with the robin's nest just gets me," Hopper said. "I think there's a lot more people who have a special tree than you think." 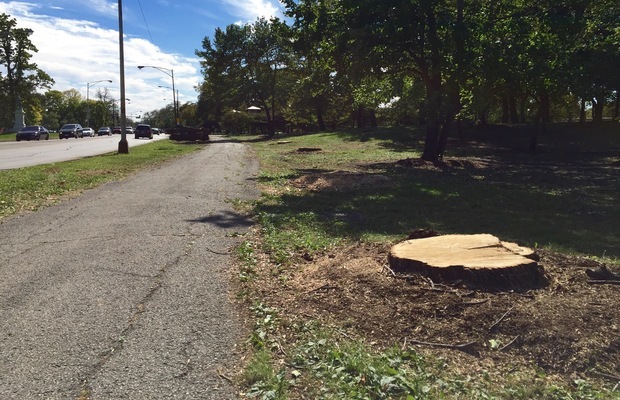 The park district plans to replace every tree, according to Maxey-Faulkner. The replacements will be a variety of species other than ash and will cost between $650 and $750 each. Frank Salinas, a 58-year-old long-time resident of the neighborhood, started counting the trees this summer. 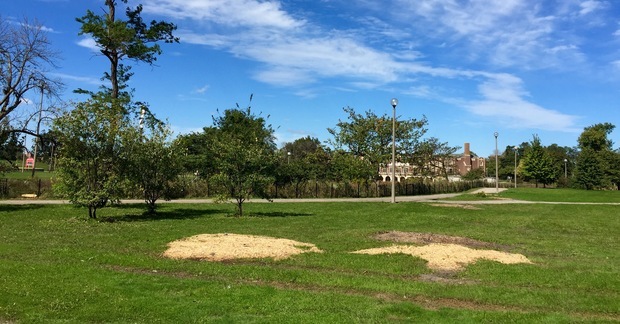 "You will see mounds everywhere," he said, describing the piles of wood chips that were once trees and later stumps. Salinas said he got up to about 150 during his count and had to give up. "It's all old growth," he said. "It's the big guys." Salinas said he understands it's a minor concern in the grand scheme of city issues, but said he and neighbors were concerned. 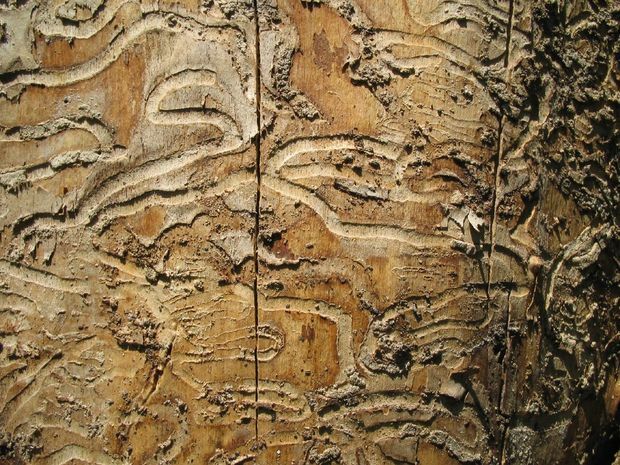 The emerald ash borer, an exotic invasive species from Asia, has killed more than 30 million trees in the U.S. and Canada and was established in northern Illinois in 2006, according to the USDA Forest Service. 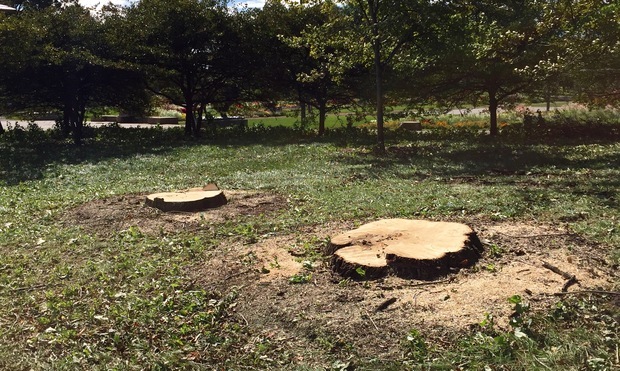 There are about 85,000 ash trees in the Chicago's street tree population, or about 17 percent of the city's trees, and an estimated 300,000 ash trees on private property, according to the city. Adult beetles nibble on the foliage of trees, but it's the larvae that cause destruction by feeding on inner bark of ash trees. That damage disrupts the ash's ability to transport water and nutrients, according to the United States Department of Agriculture. Infected trees can be spotted by leafless canopy. Trees lose 30 to 50 percent of their canopy two years after they are infected and die within three or four years.